When you buy from a seller located within the EU, the transaction is covered by the Consumer Rights Directive, which took effect in Ireland in June 2014 and which strengthens protections for consumers whether they are shopping on the main street or online. The EU rules relating to online transactions also apply to all situations where there is a distance between the seller and the buyer – for example, when you make a purchase over the phone or by mail order. However, where the business is located outside the EU, the purchaser will not be able to rely on the protection of the Consumer Rights Directive, so it is important to check the registered postal address of any online business you are dealing with before making your purchase. Do I have the same rights when I buy something online as I would if I had bought it in a shop? All the consumer rights that relate to a purchase made in a shop also apply to purchases made online, but when you buy something over the internet, you also are provided with some additional rights. What information should the seller provide? Under the new EU rules, the seller must provide you with a description of what you are buying; the seller’s name and geographical address, phone number and email address so you can make contact easily; the total price of the goods or services, including taxes; payment and delivery arrangements; the minimum length of the contract and how long the offer or price will remain valid; and the procedure for cancelling your order. What happens if the goods I have bought online are faulty? If you have made a purchase online and the goods you have bought turn out to be defective, you have the same rights as if you had bought the goods in a shop. You should contact the seller in writing – by email, letter or fax – and request a refund or a replacement. In the case of a refund, the seller must reimburse you within 14 days of cancellation, including standard delivery costs. However, the seller may withhold the reimbursement until the goods have been returned or until the consumer provides evidence that the goods have been sent back to the seller. You may also be entitled to a refund if the goods are not as described by the seller. Can I change my mind after making a purchase online? Since they are unable to see the goods before concluding the contract, consumers have additional rights when buying online compared with buying goods in a shop. 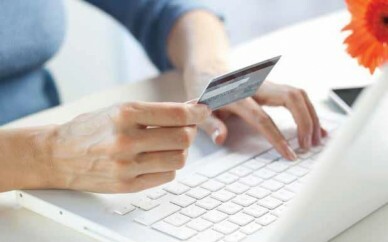 With online purchases, consumers have a right of withdrawal and are provided with a “cooling off” period, which, under the new Consumer Rights Directive, lasts 14 calendar days starting from the day on which they received the goods, or in the case of a service, the day on which the service commenced. Before the end of the 14 days, you can cancel the order for any reason, including because you have changed your mind, and are entitled to be refunded by the seller. In the case of goods, you will have to return the item received and may have to pay the shipping costs associated with this. In the case of a service, a standard EU cancellation form must be made available online by the seller. If the seller fails to adequately inform consumers of their cancellation rights, the Consumer Rights Directive extends the cooling off period to 12 months. Are there any situations when the cooling off period does not apply and I cannot change my mind? The 14-day cooling off period does not apply when goods have been made to a customer’s specifications, e.g. tailor-made curtains, or have been personalised in some way, e.g. a football shirt with the customer’s name on it. In addition, there is no cooling off period for perishable goods, such as fresh food; newspapers and magazines; CDs, DVDs and computer software that have been unsealed and used; gaming or lottery services; and services that have already commenced. For hygiene reasons, it is not possible to return swimwear or underwear. What happens if the goods I ordered online fail to arrive? If the goods you ordered are not delivered, you should contact the seller and request a refund. This refund should be provided within 14 days. If the seller fails to provide a refund and you have paid for the goods by credit or debit card, you may be able to initiate a chargeback, whereby your card provider reverses the transaction. What rights do I have when downloading music, books, games or apps? The new Consumer Rights Directive covers online purchases of digital content, which means data that are produced and supplied in digital form, such as computer programmes, apps, music, videos or texts, regardless of whether they are accessed through downloading or streaming. Under the directive, the seller should provide information about the hardware and software with which the digital content is compatible and whether any technical restrictions or protection measures apply, such as a limit on making copies of your purchase. You are entitled to cancel an online digital purchase up to the point that the download or streaming begins. Do these consumer rights apply if I purchase goods from an individual online via an auction website? Consumer rights legislation does not cover a situation where you buy from an individual, either directly or through a website. In online auctions where the seller is another consumer, any transaction will not be governed by consumer law and no cooling off period applies. In general, auction sites do not take responsibility for the quality of the goods on sale or the accuracy of their descriptions, and consumers should always check the terms and conditions of the website before entering into a bidding process. What are my rights if the online seller is not located within an EU member state? When buying from outside the EU, you will not be able to rely on the protections of the new Consumer Rights Directive or EU legislation. Therefore, you need to make sure that the website with which you are dealing is reputable and that you have read all terms and conditions very carefully. In the event that the goods are not delivered or are faulty or not as described on arrival, you will need to refer to the terms and conditions to find the website’s policy on these issues. Is there anything else I need to know about buying outside the EU? When making a purchase from outside the EU, Value Added Tax (VAT) must be paid on items if the total cost, plus shipping, is €22 or higher. If your online purchase costs more than €150, you will be liable to pay both VAT and customs duty, which may be collected on your doorstep by the company that delivers your parcel.